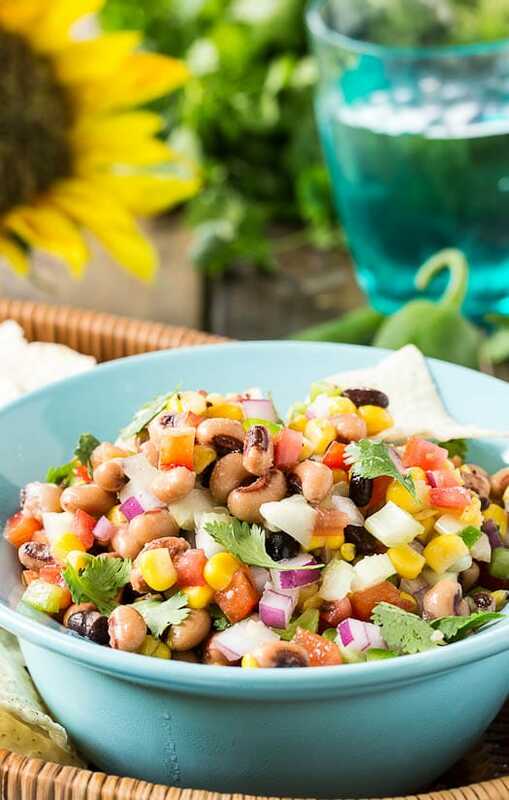 Texas Caviar with black-eyed peas, black beans, corn, red bell pepper, and red onion can be eaten as a dip or as a side salad. 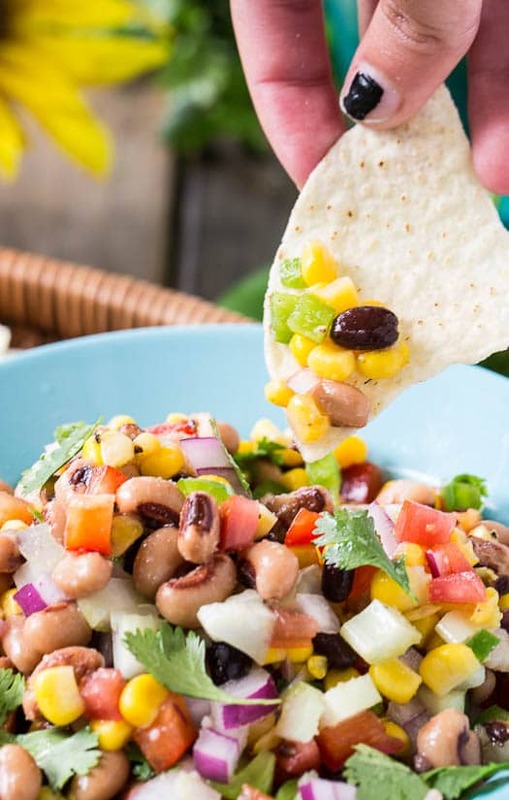 Canned beans work really well for this recipe making it super easy to throw together for a party. Black-eyed peas by themselves aren’t one of the most exciting, flavorful foods. But they really come alive in Texas Caviar. A dressing of vinegar, oil, sugar, and garlic powder gives them a pickled flavor. Some cilantro and jalapeno spice them up a little. 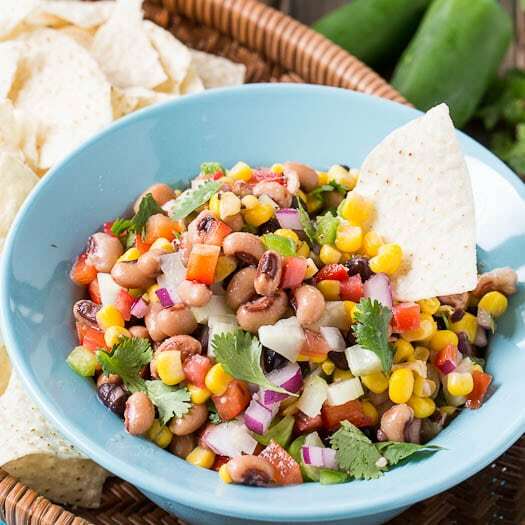 Texas Caviar dates back to the 1940s when Helen Corbitt, a New Yorker who moved to Texas to teach catering and restaurant management at The University of Texas, created it when she was given the task of preparing a meal for a convention made with all Texas products. She transformed the lowly, earthy black-eyed pea into a vibrantly flavorful dish that has been popular for nearly 75 years. But Texas grew on her (and I’m sure with a personality like hers she grew on Texas!) and she became the head of food services at Neiman Marcus, where her Poppy Seed Dressing became a favorite on the menu. She had a long and accomplished career in the Texas food industry and published multiple cookbooks. I would love to get my hands on one. Served chilled, this Texas Caviar Dip with black-eyed peas, black beans, corn, and red bell pepper is wonderful eaten with tortilla chips or on its own. Pour dressing over black-eyed pea mixture and toss to coat. Refrigerate for at least several hours. This entry was posted in Appetizers and tagged black-eyed peas, dips. Bookmark the permalink. This was a huge hit for Memorial weekend, so I am making it again for the 4th! Great pairing to a low country Boil too:) Delish!!! Anyway my question is: Is the oil or sugar required? What is the calories per serving? Thanks a fantastic idea! I love the saltiness of feta. Thanks for sharing! 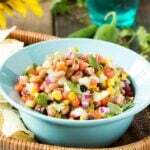 I use a box of pico de galo in place of the tomatoes, onions & hot peppers. I get rave reviews!! I love this recipe and it’s so easy! How long will the dip stay edible after assembly? Thank you! Refrigerated it should be good for 3-5 days. This dip looks so delicious! I love the combination of beans, peppers, and corn. This looks awesome… I think it would be great as a snack OR a light lunch… yum! The first time I had this dip, the guy who served it called it Shirley’s Texas Caviar Bean Dip, named after his mother. I’m glad I have now found out the true story behind this dip and who created it. Thanks, Christin. It’s a great dip! 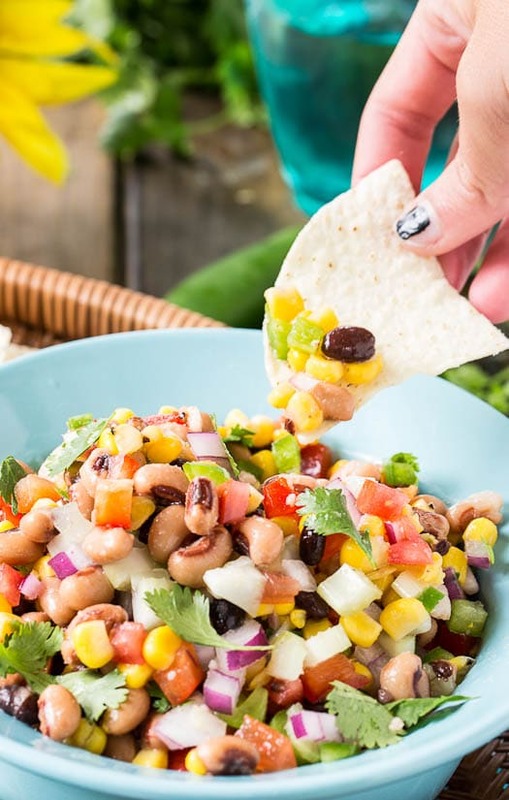 I’ve been on a major bean kick – so am digging this dip! Love the beans and crunching red pepper and red onion! YUM! It’s a wonderful recipe, but I like the story portion about Helen even better. I loved your post. Thank you Carol! I would like to learn more about her. Sounds like she was a hoot! The University of Dallas has a Helen Corbett visiting professor suite and has all of Helen Corbett’s cookbooks there. Great source to learn more about here! I like to add avocado to this recipe. That’s so good to know JoLynne! Oh girl this is absolutely fantastic! Hahaha love this! What a beautiful dip, Christin! I love the pop of colors here. 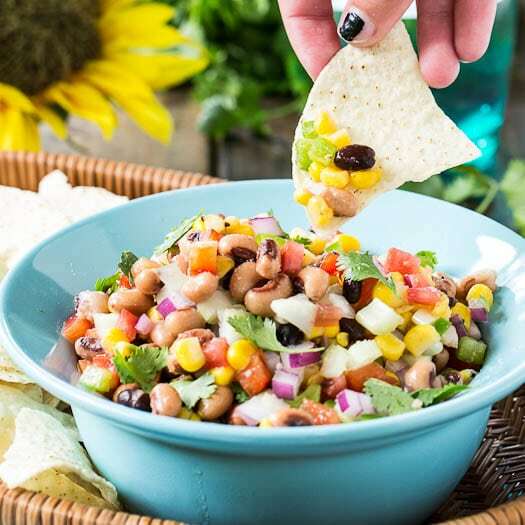 I’m not a huge fan of black-eyed peas, but they do look tasty in this dip. Sounds like a perfect appetizer for a Friday night! Holy moly, this dip is gorgeous, girl! I love a good bean dip, especially if it has the word “texas” in it. For some reason, things are just bigger and tastier in the TX! 🙂 Lovin’ all the color you packed inside. Perfect for the weekend! I think I would use it as a salad or even main thing for lunch 🙂 looks colorful and delicious!